That’s what Nic told me when we woke up one morning in our forest outside of Flagstaff. I agreed with her; I was sick of putting up camp every other day, always figuring out where to drive to, where to sleep. 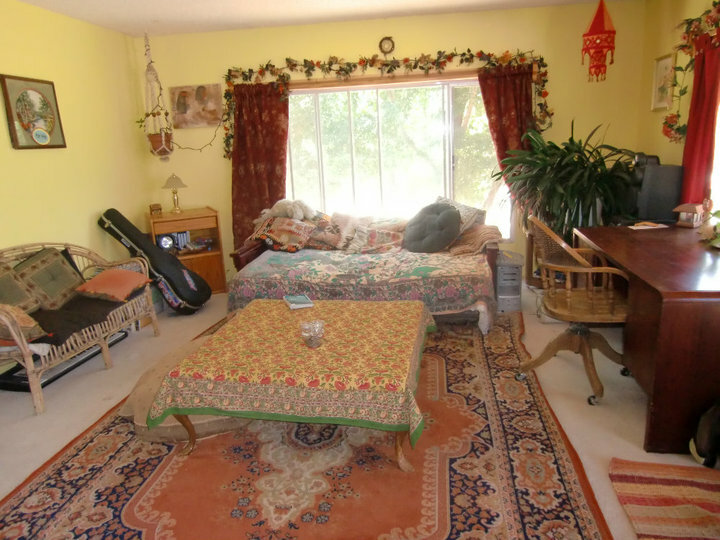 To remedy this, we drove to Prescott, AZ, to wwoof at a farm we contacted: Happy Oasis. Our original plan was to stay there for five or six days– sleep in beds and have meals cooked for us in exchange for our labor. Rather than going over the whole story, I’ll just provide some photo-commentary. OK. Here is Happy Oasis. Yes-first name Happy, last name Oasis. Conveniently, her farm is also called Happy Oasis. Coincidence? I’m not one to judge. So here’s Talhu. 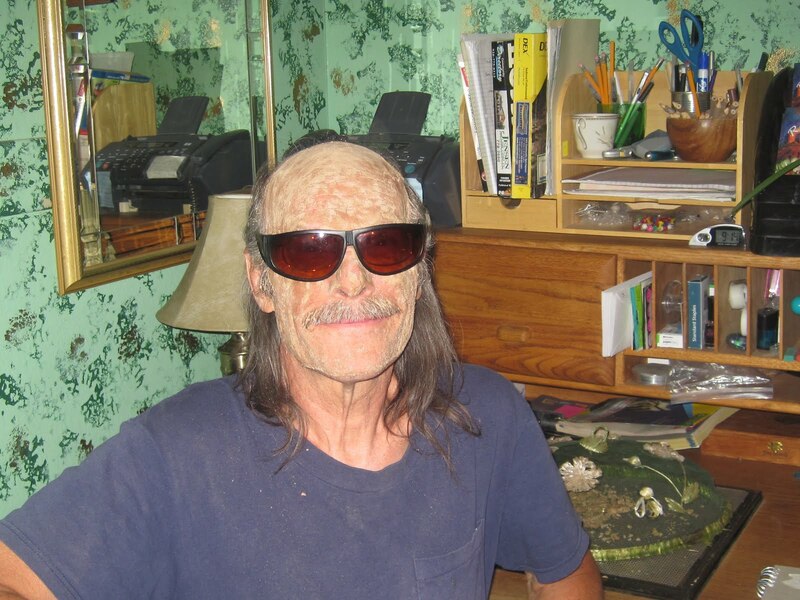 He apparently likes clay masks and wearing sunglasses indoors. He has been living at Happy Oasis for a few months, working in exchange for room and board. 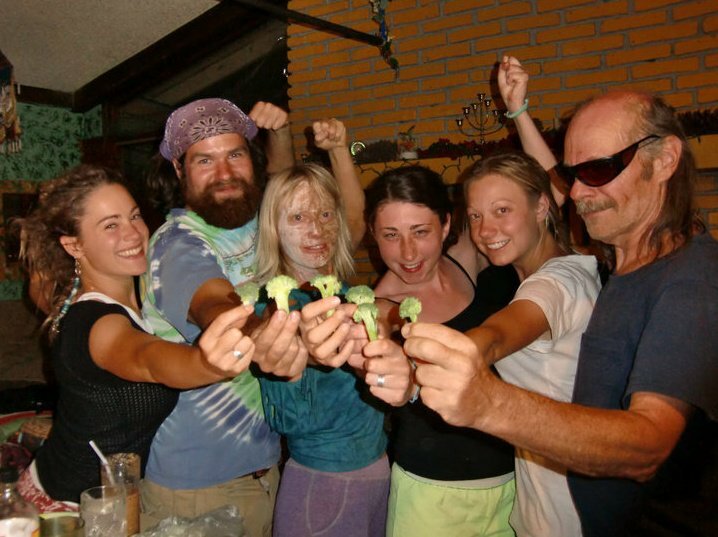 There were also three Christian bicyclists staying at Happy’s, who have been biking around the US for thirteen years. They were staying at Happy’s until God told them where to bike next. This is the farm. Happy lives in the middle of rocks. AKA, not much farming to do. Instead, I bleached a pool in the 100 degree heat and applied sealer to the surrounding pool tiles. Nic prepared raw-vegan oatmeal for everyone and transplanted arugula plants. Unfortunately, all the transplanted plants didn’t like being uprooted (ha!) and passed away. Here is where Nicole slept. Nice, right? 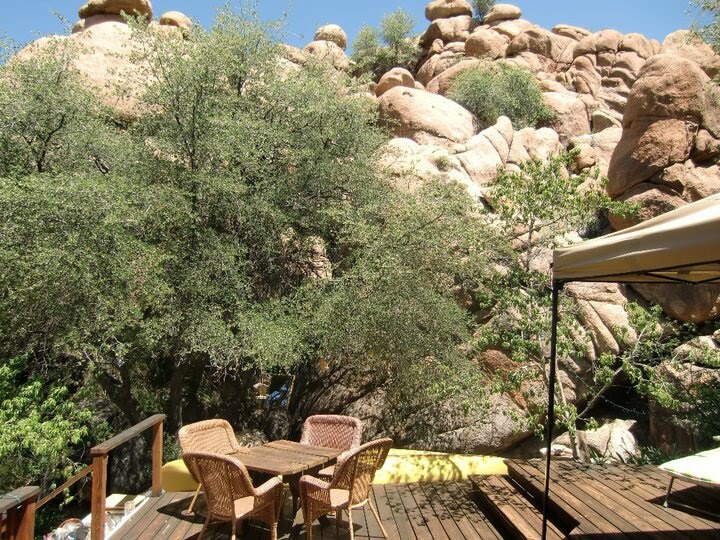 Did I mention that Happy Oasis is a raw-vegan farm? That’s right, we were only fed raw food. 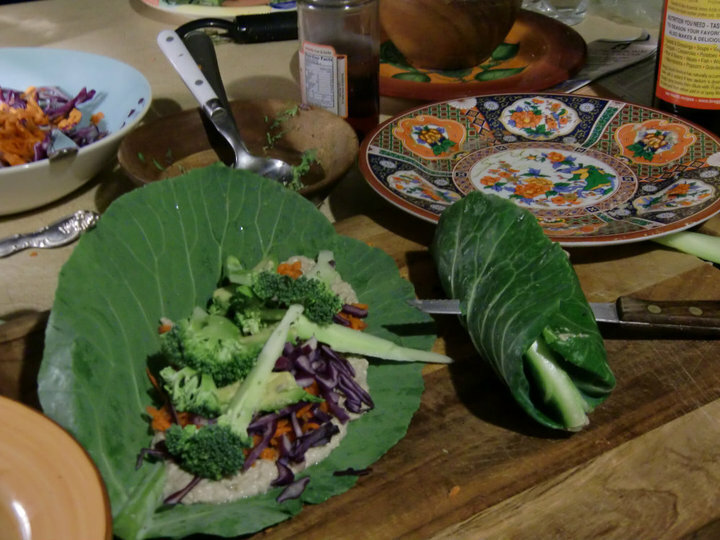 This is what we had for dinner: assorted vegetables and mashed sunflower/sesame “hummus” wrapped in a leaf. MMM. (Where’s my steak? Boiling potatoes doesn’t count?) We also had celery smoothies the next day for lunch. That’s right. After bleaching a pool that was becoming filled with my own sweat, I nourished myself with celery. I may be sounding a bit bitter, but we did have a good time. Here is us posing for our “broccoli cult” picture. We also sat in the bathroom one night and talked about how one of the Christian bicyclists changed her name from Brittany to Shalamede after a bout with meth at age 14. Maybe if we went to Happy Oasis earlier in our trip, we would’ve been up for more work, more celery smoothies. But granted, we were tired, Arizona was hot (who knew?) and the farm work wasn’t really what we expected. So yeah, we didn’t stay the planned 5-6 days, thus continuing our nomadic lifestyle. marketing director at Possible. formerly at Greatist. Still running, finding zen, and searching for the perfect bloody mary. Posted on August 27, 2010, in Uncategorized. Bookmark the permalink. Leave a comment.